We understand you may have this idea in your mind that Vegas is all about the club nightlife and parties until the sun comes up. While this notion is very much true, there is actually a wide variety of highly entertaining things you can do during the daytime, providing that you aren’t hungover from the night before. And even if you are, we have a small list very exciting things definitely worth checking out! Make your exotic car and muscle car racing fantasies come true on the fastest and longest racetrack in Las Vegas. Drive up to 16 exotic supercars on a real racetrack. From Shelby Mustangs to Ferrari’s and Lamborghini’s, they have all bases covered. If you have a need for speed, look no further than Speed Vegas. Get ready to spread your wings and experience the thrilling sensation of skydiving without the parachute or airplane. A 1,000 horsepower motor keeps you floating, flying, and free falling in wind speeds up to 100 mph. Defy gravity and make your vacation epic! Nothing passes the time like a shopping spree. Las Vegas has its finger on the pulse of the latest trends in fashion. You can choose from The Miracle Mile Shops inside Planet Hollywood, or the Forum Shops at Caesars Palace, The Grand Canal Shoppes inside The Venetian, Town Square, The Shops at Crystals inside Aria, and the one and only Fashion Show Mall. This is a fraction of what is available on and off the strip. Enjoy breathtaking and scenic views of the Mojave desert while you travel at speeds up to 60+ mph for over one mile of zip lining heaven. With some hiking included, the entire experience lasts about 3 hours. This is something entirely different and fun to do, just 30 min away from the Las Vegas strip. Do you have a fascination about the history of organized crime? Explore real stories and actual events in Mob history through interactive exhibits and one of a kind Mob and law enforcement artifacts found inside the restored 1933 former courthouse, in the heart of Downtown Las Vegas. Checkout the speakeasy and distillery as well. You don’t want to miss this! Ready for an experience that will transport you to an undersea temple being overtaken by the most dangerous and unusual aquatic predators. Come face to face with over 15 different species of sharks inside the 1.3 million gallon shipwreck tank, where you can take in close to a 360 degree view and hundreds of razor sharp teeth! Take advantage and shoot fully automatic machine guns in one of the largest shooting ranges in Nevada. Whether you are a seasoned shooter, or a first timer, you can feel the rush of firing off hundreds of rounds downrange. Check out a variety of fully automatic machine gun packages for an experience unlike anything you have ever witnessed. 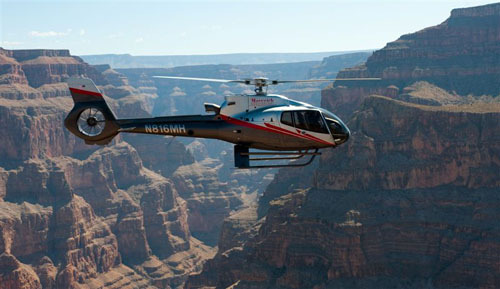 Take a trip in the quietest, safest, and most state of the art helicopter in the industry. Set your gaze upon the Grand Canyon while looking through the largest window in the industry, giving you a 180 degree view. Own the sky, and enjoy breathtaking views inside a comfortable, safe, and climate controlled cabin. This exhibition transform the way we view the mysterious organism we all share, the human body. This powerful exhibition explores life with more than 20 real, perfectly preserved human bodies and more than 200 anatomical specimens. Explore the entire human experience, from the first breath, to the very last breath. You will never see your body the same way again. Ever wonder what it’s like to be in your own real life action movie? Escapology is Las Vegas’ premier real-life escape game experience. You can choose from 8 different 60-minute adventure/escape experiences while you and your team are locked inside exciting scenarios, trying to figure out how to escape. Rooms contain clues, trap doors, hidden items, and more. No matter what you choose, this will be something you and your friends will talk about for years. Check out some, or all, of these outstanding Las Vegas daytime attractions while you plan and prep for a wild night out on the town. Contact Vegas Party VIP when you need assistance in booking your memorable Las Vegas nights! We will see you when you get here!